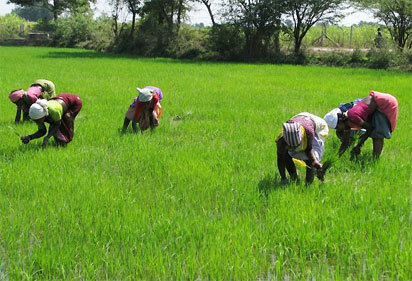 UYO—RICE Farmers Association of Nigeria, RIFAN, Akwa Ibom State chapter, has expressed lack of trust in the national leadership of the association over alleged insensitivity to their complaints and sidelining of genuine farmers and their executives in the state. They regretted that the national executive of RIFAN went ahead to inaugurate non-rice farmers not elected through due process as state executive, despite several efforts to make it understand that the national executive was being misled by people who hijacked the project in the state. Farmers numbering over 3,000 across the state suffered serious setback last year because of their inability to access Federal Government’s fund required to clear their rice fields and transplant rice seeds from nurseries. The angry farmers withdrew from the Federal Government scheme because they viewed the action of the national leadership of RIFAN as a deliberate act to sabotage Akwa Ibom from being among states making impact in rice cultivation. Acting state chairman, RIFAN, Prof. Etim Ituen of the Department of Agriculture, University of Uyo, who stood in for the indisposed state chairman, asserted: “It is also baffling and amazing why this kind of corruption should come up when the Federal Government is waging war against corruption. We understand this has not happened in any other state in Nigeria. It is the state chapter that elects their own executive. The headquarters does not come to impose executive on the farmers. “The election that led to the existing executive was duly advertised in the media and all farmers came out to vote. It was witnessed by representatives of state and federal ministries of Agriculture, representatives of All Farmers Association of Nigeria, and executive of South-South RIFAN. “We are saying that already, there is an existing executive of RIFAN that was duly elected in October 2013. That executive has been working and receiving inputs from the national RIFAN and distributing to farmers. Even if we want to elect another executive, it should follow due process,” he said. Coordinator, Ibiono Ibom Rice farmers, Mr. Emmanuel Usua, said that Akwa Ibom State chapter of RIFAN decided to pass a vote of no confidence on the national executive for allowing non-rice farmers to deprive them, the real and well recognised farmers in the state from benefitting from the scheme. A rice farmer from Ikono Local Government Area who spoke to NDV in confidence expressed disappointment that the real farmers who are registered members of RIFAN had been neglected, while people who had never cultivated rice or owned rice farms were benefitting from the scheme and without anything to show for it. “That was the same thing that happened to the Anchor Borrowers Scheme, which no fewer than 5,000 Akwa Ibom farmers were short-listed to benefit. Rice seeds worth millions of naira were wasted last year because of non-release of funds for land preparation. We, the real rice farmers in Akwa Ibom strongly believe that there is deliberate plan to sabotage our effort to improve on rice cultivation,” he said.